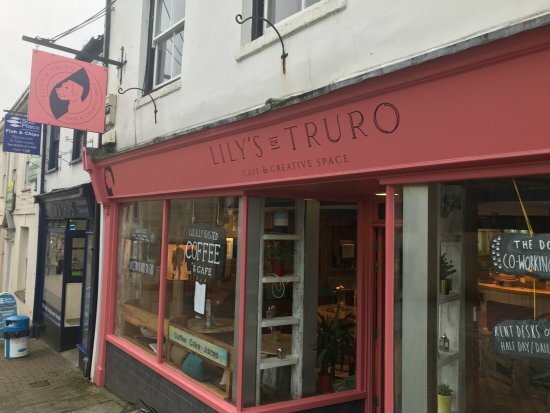 Lily’s of Truro is an independent café in the centre of Truro, Cornwall and one of our all time favourite places to grab a coffee or bite to eat. We have been their accountant for the past year and have loved seeing them grow as a business. Lily’s serve delicious breakfasts, lunches, coffees, teas and snacks throughout the day and the comfortable and laid-back atmosphere is the perfect place to chill-out. The team are extremely welcoming and are more than happy for you to bring your four-legged friend too – a policy we whole-heartedly agree with! As a recent addition to the café, Lily’s have opened their upstairs space as a co-working area, known as ‘The Dog House’. This offers the perfect environment and location for independent businesses and consultants, with work stations, a meeting room and super fast WiFi. If you are based in or around Truro and are looking for an Accountant who specialises in Xero then give us a call! For more information regarding business events and networking in Truro visit the Truro Chamber of Commerce website.